11 November marked the world's single biggest day for online shopping, with discount, sales and themed deals happening almost everywhere, we almost left with an empty wallet > <. 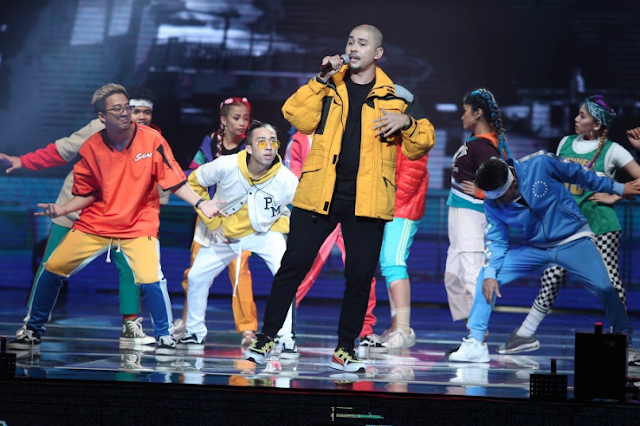 In celebration to this mega online shopping festival, Lazada held a countdown show, Lazada 11.11 Super Show on 10 November with local and international artists, KARD, Cakra Khan, Ella, Ziana Zain, Amy Mastrua, Bunkface, Khai Bahar performing as part of the star-studded lineup, taking the festival to another level. As the clock struck 12, which means the show was almost coming to an end. After the countdown activity, Bunkface came up first and performed a series of his new and hit tracks, Ziana Zain and Ella were up next showcasing their soft yet powerful voice then followed by KARD closing performances. KARD performed a total of 3 songs - "You In Me", "Don't Recall" and "Oh Nana". Fans were seen chanting and waving KARD's hand banner throughout the performances. 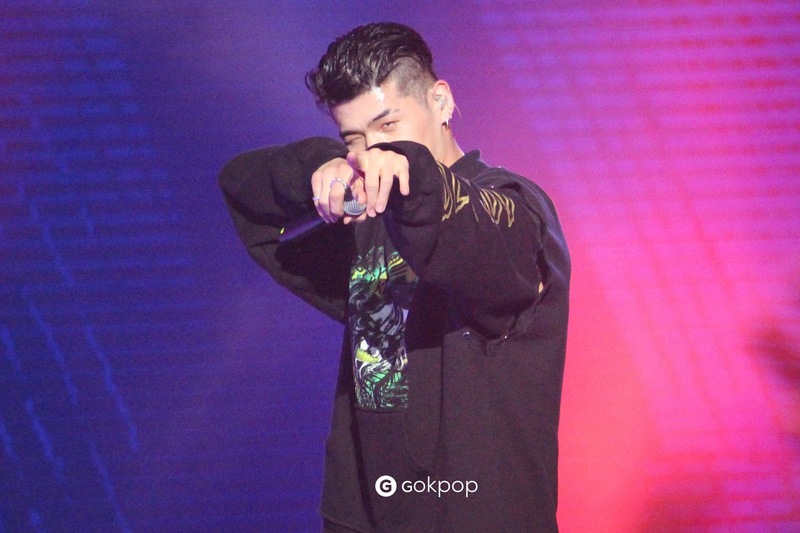 Although KARD only performed 3 songs but fans were more than satisfied as they able to watch KARD's live performances in Malaysia. (ps: KARD voices are so amazing! you really need to watch their live performances at least once! > <) Audiences were seen following the rhythm and lightly bouncing up and down during KARD performances. To be truth, this is our first local event but we were totally impressed by the stage, lighting, audio and literally everything that was set up at the show. Audiences who were watching the show via live streaming/on TV even commented: "macam sedang tengok music bank at TV3" (which means seems like I'm watching music bank at our local TV channel, TV3), praising our local cameraman for capturing the good angles! We were really enjoyed and definitely filled our hearts with beautiful memories at Lazada 11.11 Super Show. 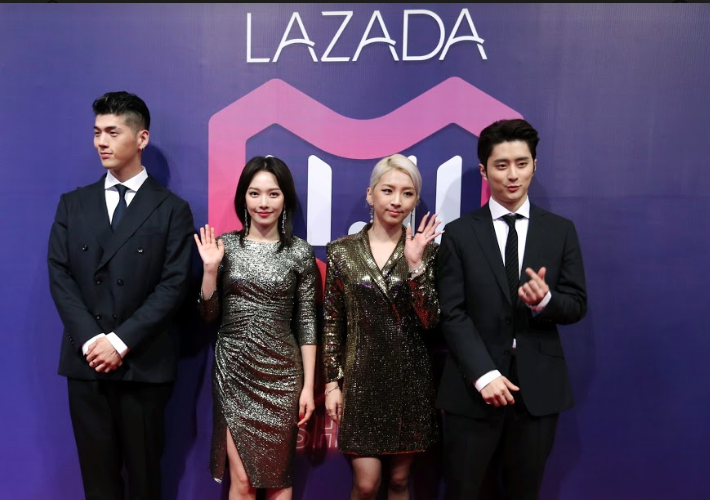 If you missed out KARD's Q&A session during the press conference, check it out HERE. For more HD photos during the show, check out GOkpop Malaysia Facebook Page. For your info, 11.11 also known as Pepero Day (the Korean's Valentines Day) where couples or friends will be exchanging or giving out Pepero in showing affection to one another. Did you give out your Pepero during 11.11?